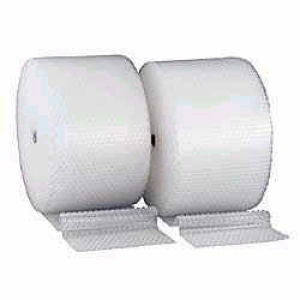 Protect your retail store's products from vibration, shock and costly damage with Bubble Wrap® Packaging Rolls. Air bubble reduces damage to shipments while adding very little to overall package weight. Two roll widths available 24" & 48" and three thickness 3/16", 5/16", 1/2" are available to satisfy your store's specific requirements. This product is shipped VIA common carrier. Freight is quoted separately. You will be notified of the freight amount.